How would you like to be your own boss, set your own working hours, and help people in your community get their home and property more organized, safer, and cleaner? If you are interested in running your own business with flexible hours and a great organization behind you, an All Things Junk franchise could be perfect for you! A franchise from All Things Junk can be an excellent choice for a second income for you, or for anybody looking for an exciting and fulfilling business opportunity. Even if you have a career already, you can still fit an All Things Junk franchise into your busy lifestyle. You can work on your schedule in your local area, and still be backed by a great, professional organization to support your business. 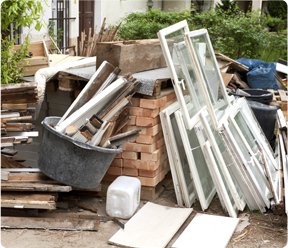 You get the backing of a growing junk removal brand and an experienced, knowledgeable team that stands behind you. You will have the opportunity to provide your customers with top-quality bin drop-offs, junk removal services, and demolition cleanup in your community. We truly believe that All Things Junk can be a great choice for a side business for busy professionals in almost any field, but we especially know that an All Things Junk franchise can be a perfect fit for busy firefighters. All Things Junk was started by three professional firefighters in Windsor, Ontario. Our founders - Bob, Darren, and Mark - are all active firefighters and continue to run their successful All Things Junk franchise in addition to their regular duties. 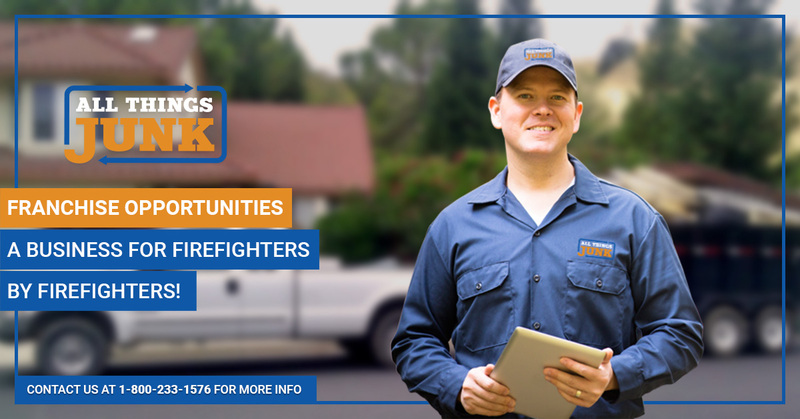 If you’re looking for a challenging and rewarding business opportunity with flexible hours that allows you to make a difference for your customers, check out the junk removal franchise opportunities with All Things Junk. To learn more about what we do and if an All Things Franchise could be the right choice for you, explore our website and read about our services, including Bin-Drop Offs and Demolitions, learn about What We Remove, and find out about how customers can schedule junk removal services. Then, contact us or call us at 1-800-233-1576 to get answers to any questions you may have and to get started with your All Things Junk franchise. Whether for a junk removal or renovation project at your home or business, a flat fee bin rental in Windsor-Essex from All Things Junk is a great option to clean up the clutter. From home junk removal to bins for roofers, rennovation professionals or other commercial uses, our flat rate bins can help you clean up after almost any project. Our 5 day flat fees include tonnage, drop off, pick up and HST. We aren't just a junk removal company - we are also experts in demolition. Let us provide you with a no obligation quote for your demolition project and find out how we can help you safely perform demolition and cleanup on your property. Whether for your home or a business, contact us today to learn more about our demolition services.